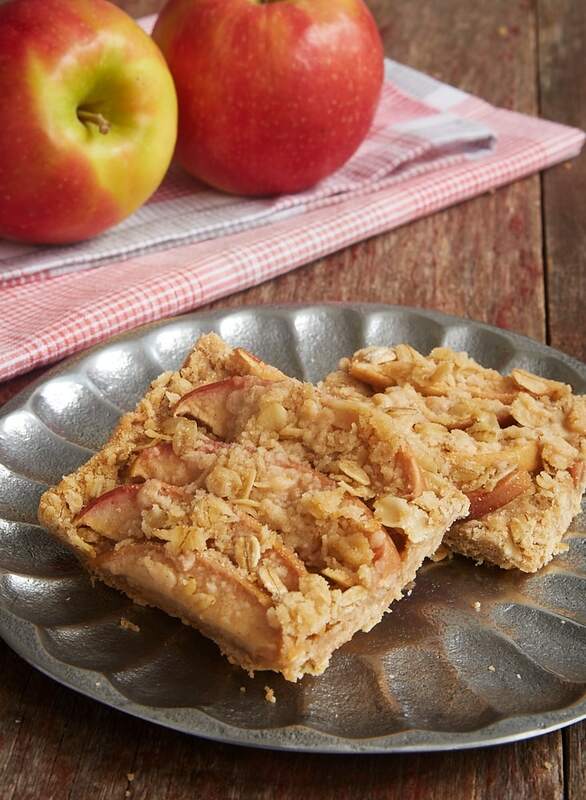 Apple Cinnamon Crumb Bars are a simple celebration of some of fall’s best flavors! 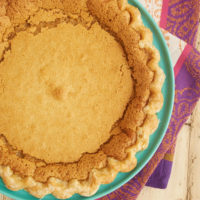 The simple crust mixture also serves as the crumb topping, making these a quick and easy favorite. 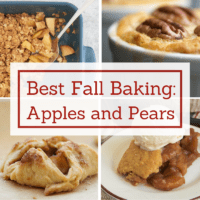 When I think fall desserts, apples and cinnamon are some of the first things that pop into my head. I don’t feel like my fall baking has really started until those two come into play. 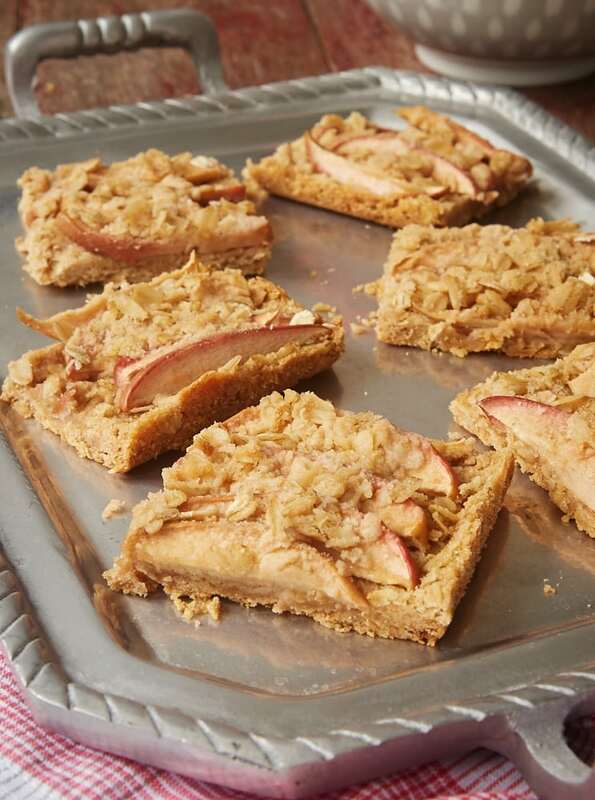 These Apple Cinnamon Crumb Bars feature those two great fall flavors in a delicious way. 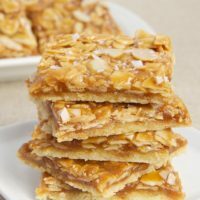 These sweet bars are super simple to make. They’re a staple around here for satisfying an apple cinnamon craving. The crust, which is also the crumb topping, is a simple combination of baking pantry staples. As is usually the case with making shortbread, you’ll have a loose mixture once it’s combined, but it will hold together when you press it into the pan. Thin slices of apples top off the crust, and that’s all you need for the filling. I slice the apples about 1/4-inch thick and just arrange them over the crust in a single layer. I usually need about 3 apples to cover the crust well. If you like, you can instead chop the apples for the filling. Peeling is a matter of preference. I like to leave the peels for flavor and also for that bit of color they add. 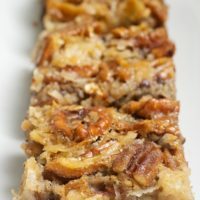 Not only is the flavor of these Apple Cinnamon Crumb Bars amazing, but they’re quick and easy to make, too. 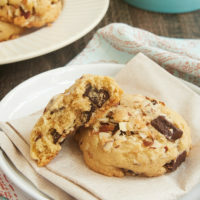 The crust and crumb mixture is made in just one bowl with no mixer needed. Then just slice some apples and add the crumb topping. The flavor of these bars checks all the boxes for a perfect dessert for Quinn. He adores all things apple cinnamon, so he’s a great critic of these kinds of desserts. I am happy to tell you that these get the Quinn Seal of Approval for Apple Cinnamon Excellence! I hope you’ll enjoy them, too! Apples and cinnamon are a match made in dessert heaven. 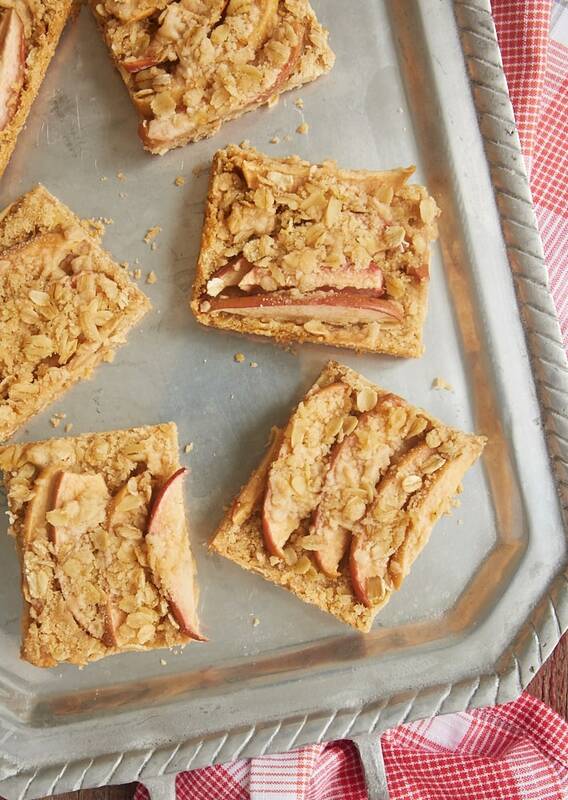 Enjoy that delicious pair in these quick and easy Apple Cinnamon Crumb Bars! Combine the flour, sugar, brown sugar, cinnamon, baking powder, and salt in a large bowl. Add the butter, and mix with a pastry blender, a fork, or your fingers until combined. The mixture will be crumbly but will hold together when pinched. Mix in the oats. Set aside 1 cup of the mixture for the topping. Press the remaining crust mixture into the bottom of the prepared pan. Top the crust with apple slices. Sprinkle the reserved crust mixture over the top of the apples. Bake 35 to 40 minutes, or until golden brown. *Use as many as you like to cover the base layer of the bars. I like the look of slices, but you can certainly chop them into smaller pieces if you prefer. 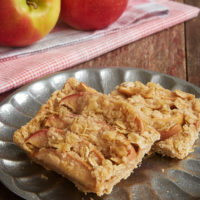 This apple crumb bar looks yummy! I never make this before. I am gonna try one! Wish me best of luck! They were delicious; however, I was unsure about the cooking of the Apple, sugar, cinnamon and butter mixture. Do you cook it until the liquid all evaporates? Also do you cool it totally to thicken it? I know some recipes call for flour in their apple filling and I just wondered if it’s too runny, how to spread it evenly over crust or was it wrong that I had so much liquid? Please advise. Thanks. Hi, Sharon. I’m not sure I understand your question. The apples aren’t cooked before placing them on top of the crust. No worries, Sharon. For that recipe, if you cook the apples, sugar, etc. 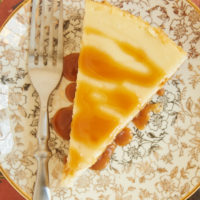 for about 10 minutes, you’ll have something that’s about the thickness of a thin caramel mixed with the apples. If it hasn’t thickened, then give it a few more minutes or try increasing the heat a little. You don’t need to cool it. Just spread it on top of the crust. Thank you Jennifer. I’ll do that the next time. They are delicious! Where can I get your recipe book?